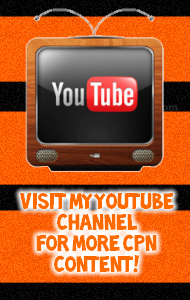 Club Penguin Neighborhood: The First Club Penguin GameShow: Save Cena! 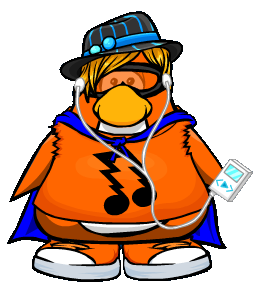 Cena12121 is one of the many legends of the Club Penguin world. He accomplished so much in so little time, made HUGE fans and did what no one else had ever done; make an extremely popular chat. But I have some bad news... Cena shut down his chat and may be quitting Club Penguin... Some say he's doing this because of someone calling him a jerk. Others say he's too old for Club Penguin and its many dramatic battles. But nobody knows for sure, and I wonder if Cena even knows why he is doing this. If Cena quits, his fans and friends will drop out like dominoes. The entire Team Club Penguin Cheats world will end, and things might not be as fun. I need to save him, but I can't do it alone. Once again, I need all of your help. What I simply ask is to leave a comment on this blog telling Cena not to quit. If we get enough comments we might even be able to convince him to stay a little longer in the Club Penguin world. It's not really my decision, but our decision. CENA...U MEAN THE WORLD TO US...I HOPE U KNOW THAT!!!! PLEASE DONT LEAVE CP OR UR SITE...AND LAST BUT N OT LEAST YOUR CHAT..IT IS HOME FOR SO MANY, CENA12121 YOU MEAN SO MUCH TO ALL OF US ...PLEASE COME BACK ...PLEASE!!!! Ugh, Frosty. Im in. Im saving cena with ya, dude. Cena12121, come to your senses!!!! DONT QUIT!!!!!!!!!!!! Cena you need to stay! Everybody loves ur chat. At least keep chat open too! I mean keep ur site open and ur chat too! They both rock! Don't Leave Cena! You Rock! CENA DONT LEAVE CLUB PENGUIN!!! DONT LEAVE!!!!!!!!! Cena, Since you have been on Club Penguin so long you have seen things many of us can only read about. Please stay, keep your site & chat open and share your many penguin experiences. Don't Leave!!! We'll miss you!!!!!! cena, dont leave you have worked so hard and evry1 respects your for that, if you leave evry1 will be sad and stuff. plz keep ur site and chat openn! ENA...U MEAN THE WORLD TO US...I HOPE U KNOW THAT!!!! PLEASE DONT LEAVE CP OR UR SITE...AND LAST BUT N OT LEAST YOUR CHAT..IT IS HOME FOR SO MANY, CENA12121 YOU MEAN SO MUCH TO ALL OF US ...PLEASE COME BACK ...PLEASE!!! i sent cena12121 a link to this post. CENA! STAY! I GO TO YOUR SITE EVERYDAY! (just not your chat tho) ITS AMAZING! PLEASE STAY! I AM EVEN GOING TO ADVERTISE YOUR SITE ON MY SITE! 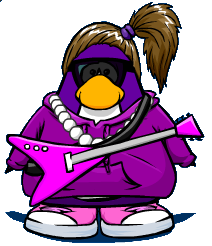 MAKE A BANNER FOR YOUR PENGUIN! ANYTHING! JUST PLEASE STAY CENA! stay Cena! im a HUGE fan! CENA DONT QUIT I LOVE UR WEBSITE I GO THERE ALL THE TIME FOR CHEATS AND I LOVED<3 THT CHAT but u closed it down BUT DONT QUIT COME TO UR SENCES!!! !